Olivia Cleans Green: My New Website & Party on Sunday! You may have noticed my blog posts have been a little thin lately. I was busy creating my new website, itsolivialane.com. It's the one stop shop for all things Olivia Lane, including information on my health coaching practice, my green cleaning book, events, and recipes. I made my website by personalizing the website that Institute for Integrative Nutrition provides to all their health coach training program students. It's just one of the many fabulous marketing tools included with tuition! I'll continue blogging here at oliviacleansgreen.com, so no need to update your bookmarks, RSS feed, or email subscriptions to blog posts. But if you prefer to remember one URL per human being, there's a link to my blog at itsolivialane.com too. New posts will be up every weekday(-ish) again starting today. On Sunday, March 16th (new date), I'm throwing a phone party to celebrate the completion of my website and passing the halfway point of the health coach training program. I'd love for you to join me! 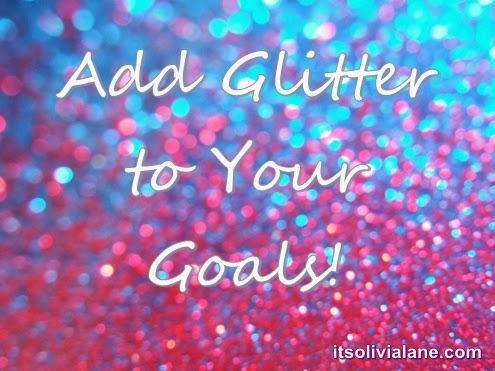 Come get some support to gain clarity on your goals and learn how you can reach them with more fun and glitter. This will be a live support group where everyone who attends will have a chance to be heard and experience getting loved up. There will also be a sweet surprise gift for every guest. Add Glitter to Your Goals // Free // Phone // Sunday, March 16 (new date), 4pm to 4:30pm EST // RSVP via email to reserve your spot.